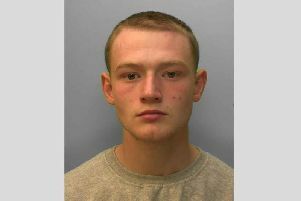 Sussex Police has appealed for help in finding two suspects connected to the theft of high value tools in Bognor. Police said the two people pictured were caught on camera between 8.55pm and 9.05pm on January 28, and 'are believed to be involved in the theft of some tools from a van parked in Acton Way'. "The tools were taken from his van and were worth around £6,000 and included hedge cutters and saws," a spokesman added. "Anyone who knows them or recognises their clothing is asked to speak to police online quoting serial 1295 of 28/01."